With years of experience, Dr. Stryk possesses not only the training but also the actual experience of working in his medical specialty. Allergy and breathing problems can seriously impact your life. As board-certified and fellowship trained specialists in allergy, asthma, and immunology, Dr. Stryk is devoted to diagnosing and treating patients of all ages who suffer from asthma and all types of allergies. At Canton Asthma & Allergy our doctors provide unsurpassed care for children and adults affected by allergies or asthma. Our physicians provide evaluation, testing, diagnosis and treatment for a host of breathing and allergic conditions. Your Family Wellness Center for Asthma, Allergy, and Frequent Infections. Having the privilege of providing health care to patients of all ages in Canton, Novi, and Metropolitan Detroit since 1978! Allergy and breathing problems can seriously impact your life. A fellowship trained, board-certified specialist in asthma, allergy, and immunology, Dr. Steven Stryk is devoted to the diagnosis and treatment of patients of all ages who suffer from asthma and all types of allergies. Our clinicians also evaluate patients who experience sinusitis, pneumonias, and frequent ear infections. Dr. Stryk is an expert in the treatment of primary immune disorder problems and the office is a referral site for both the Jeffrey Modal Foundation and the Immune Deficiency Foundation. Our clinicians understand how frustrating allergies and breathing problems and frequent illnesses can be. That’s why we go the extra mile to spend time with you, answer your questions and educate you about your condition. You will receive a personalized, written treatment program that can significantly reduce the need for urgent care and hospital visits and minimize your medical expenses. At Canton Asthma & Allergy, our clinic runs on time because we don’t overbook. This means short wait times and you can get a same-day appointment if necessary. We accept most Commercial insurances (HMO and PPO), Tricare, Medicare, and Workers Compensation Cases. We do not accept Medicaid. Please check with your insurance carrier before scheduling to confirm whether you need a referral from your primary care physician (PCP) before being seen by a specialist. Unsurpassed care for children and adults affected by allergies or asthma. 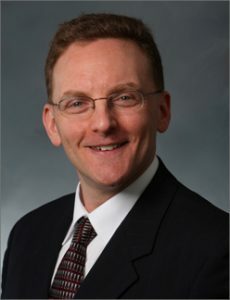 Steven V. Stryk, M.D. is one of America’s most recognized and prominent allergy and asthma physicians. Specializing in the care of children and adults with asthma, allergies and allergic disorders. With years experience, you can be assured that you or your child will receive the highest quality, most compassionate allergy care in the metro Detroit area. At Canton Asthma & Allergy our clinicians provide unsurpassed care for children and adults affected by allergies or asthma. They evaluate, test, diagnose and treat for a host of breathing and allergic conditions. Our clinicians also provide a healthy dose of patient education regarding your condition and will gladly answer any questions you might have. The friendly staff at Canton Asthma & Allergy welcomes your inquiry at our Canton or Novi offices. Our professional staff is ready to set your appointment and provide you with answers to any questions you may have. To schedule an appointment, please call the office you would like to visit or you can email us here. (Primary Immune Deficiency Syndrome) and the Immune Deficiency Foundation. Are you new to the area? Contact us today to setup a consultation! Our clinicians have successfully diagnosed and treated patients who prior to coming to us, suffered for years with multiple problems caused by their immune system not working correctly. With proper diagnosis and treatment, these same patients are now enjoying a much improved quality of life. WHAT IS AN ALLERGY/IMMUNOLOGY DOCTOR? Board certified allergy and immunology physicians are doctors who have completed a 2-year Fellowship specifically aimed at the treatment of patients with asthma, allergies, and immune system disorders including frequent infections. Following completion of their Fellowship training, the doctor is required to pass an exhaustive testing referred to as “sitting for the Board”. Successfully passing the Boards assures written proof that the doctor understands all they have been taught and are qualified to treat patients in this specialized area of medicine. What this means for our patients is that Dr. Stryk, certified by the Board of the American Association of Asthma, Allergy and Immunology, are specially trained to manage a wide range of respiratory, sinus, nasal, skin, and immune system problems, and possesses not only the training but the actual experience of working in his medical specialty. Dr. Stryk is nationally recognized as one of America’s most prominent allergy and asthma physicians. Since 2007, he has been selected and listed by Harvard’s Best Doctors in America, and has consistently been voted by his peers as one of the top doctors in metro Detroit by StyleLine and Hour magazines. Dr. Stryk is a board certified specialist in the care of children and adults with asthma and allergic disorders. He is also a recognized expert on the care of children, adolescents, and adults with primary immune deficiencies. 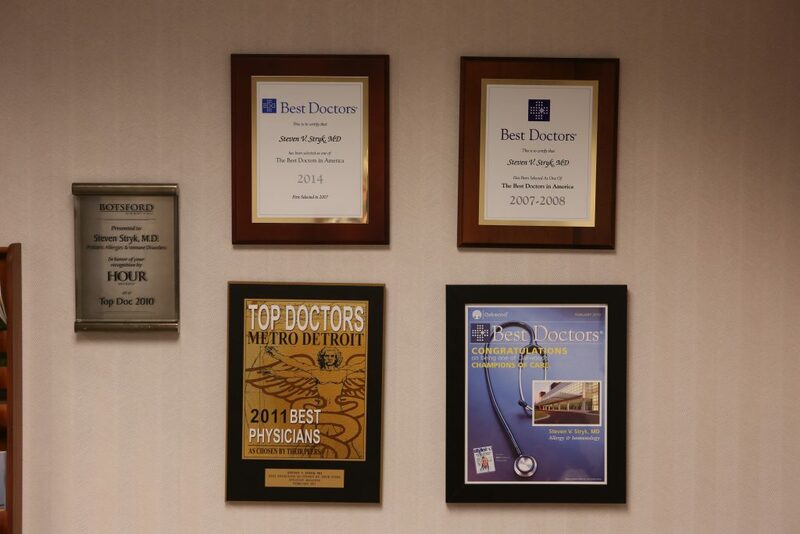 Dr. Stryk graduated with honors from the University of Michigan and received his medical degree from the University of Michigan Medical School. Dear Dr. Stryk: I want to sincerely thank you for the wonderful care that I have received from both your staff and yourself. When I came to your office in mid-February, I was absolutely miserable and I had a lot of concerns about my health and breathing (as evidenced by my poor test results.) I had suffered from asthmatic symptoms for a long time and nothing seemed to improve my situation. In a little over a 2wo-hour appointment, a few tests, and your plan of treatment, I can now say that my health has dramatically improved. My coughing and wheezing have disappeared and I have no limitations on exercise. I can again live my life the way that I want to. I am so thankful that a patient referred me to your care and my only wish is that I had met you sooner. I also now know why you are consistently rated as one of the finest doctors in America. I look forward to recommending your office to anyone who suffers from asthma and allergies. "I want to sincerely thank you for the wonderful care that i have received from both your staff and yourself. When I came to your office in mid-February, I was absolutely miserable and I had a lot of concerns about my health and breathing (as evidenced by my poor test results). I had suffered from asthmatic symptoms for a long time and nothing seemed to improve my situation. In a little over a two-hour appointment, a few tests, and your plan of treatment, I can now say that my health has dramatically improved. My coughing and wheezing have disappeared and I have no limitations on exercise. I can again live my life the way that I want to. I am so thankful that a patient referred me to your care and my only wish is that I have met you sooner. I also now know why you are consistently rated as one of the finest doctors in America. I look forward to recommending your office to anyone who suffers from asthma and allergies." Complete your forms and access your information in our Patient Portal.